This week we review Marvel’s Doctor Strange starring Benedict Cumberbatch, Chiwetel Ejiofor, Rachel McAdams and Tilda Swinton directed by Scott Derickson. 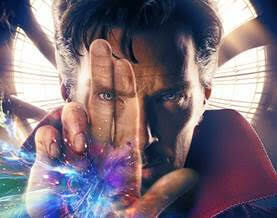 From IMDB: A former neurosurgeon embarks on a journey of healing only to be drawn into the world of the mystic arts. Is the movie able to bring our hosts out of their superhero fatigue? Does Doctor Strange try something different to the origin story template? Or subscribe to us in iTunes and never miss a show!